In the tiny, rural town of Carthage, TX, assistant funeral director Bernie Tiede was one of the town's most beloved residents. He taught Sunday school, sang in the church choir and was always willing to lend a helping hand. 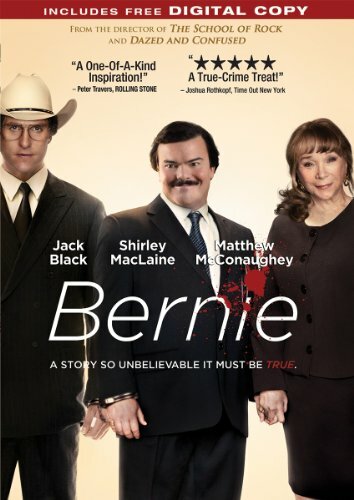 Everyone loved and appreciated Bernie, so it came as no surprise when he befriended Marjorie Nugent, an affluent widow who was as well known for her sour attitude as her fortune. Bernie frequently traveled with Marjorie and even managed her banking affairs. Marjorie quickly became fully dependent on Bernie and his generosity and Bernie struggled to meet her increasing demands. Bernie continued to handle her affairs, and the townspeople went months without seeing Marjorie. The people of Carthage were shocked when it was reported that Marjorie Nugent had been dead for some time, and Bernie Tiede was being charged with the murder.